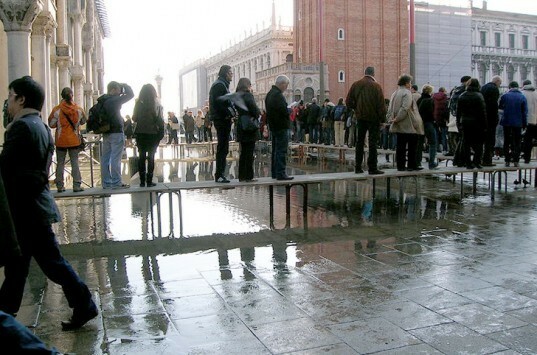 Venice just successfully tested its ambitious $7 billion flood-protection project for the first time. The Moses system for defense against high water is being constructed at the city’s lagoon inlets where the lagoon meets the sea. The gates are designed to reduce the intensity of tidal currents and protect the city from flooding. The system being tested in Venice could potentially provide protection for other coastal areas and communities threatened by rising sea levels. The $7 billion Moses Project aims to protect the city and control sea levels. When a tide higher than one meter is forecast, its floodgates will empty of water that keeps them on the sea bed, rise and block three inlets. Once the water levels in the lagoon and the sea are equalized again the gates will fill with water and return to their original position. The system has been under construction for ten years, but was slowed down by the country’s economic crisis. Only 78 gates have been constructed so far and needs an immediate $800m cash infusion to proceed, according to the head of the construction consortium. The project is scheduled for completion in 2016. Venice just successfully tested its ambitious $7 billion flood-protection project for the first time. The Moses system for defense against high water is being constructed at the city's lagoon inlets where the lagoon meets the sea. The gates are designed to reduce the intensity of tidal currents and protect the city from flooding. 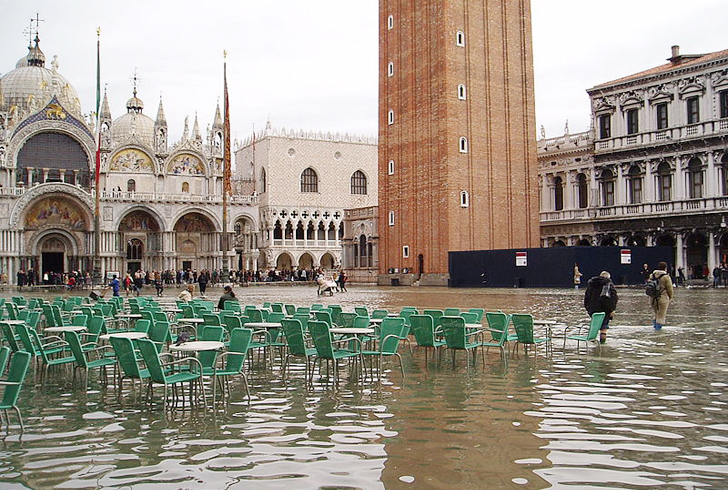 The system being tested in Venice could potentially provide protection for other coastal areas and communities threatened by rising sea levels.